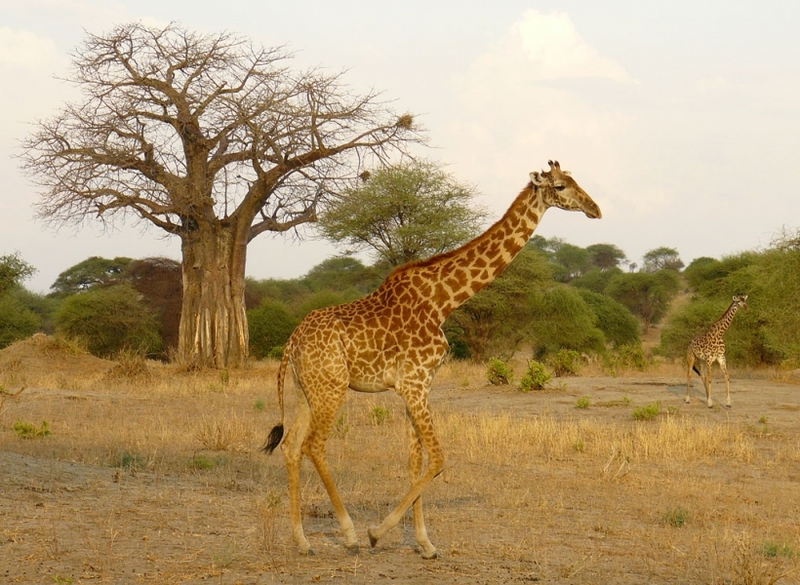 A safari or game drive around Tarangire National Park is one of the highlights of the Northern Safari Circuit. This beautiful park offers close up sightings of elephants, giraffes, zebras, a variety of antelopes including the shy lesser kudu, wild dogs and a wide range of birdlife. Huge baobab trees dominate this rolling landscape and, in the dry season, the meandering Tarangire River draws the animals to it's banks offering spectacular game viewing possibilities.